Nematodes attack plant roots, stems and leaves. They are a major group of crop pathogens and cause worldwide losses estimated at about US$120 billion every year. They inhabit the soil and damage the roots of plants, weakening their ability to absorb water and nutrients. The symptoms of these damages include stunting, yellowing of plant leaves, and loss of plant vigour. Nematodes rarely killing plants directly, But they will affect plant growth and yields greatly. 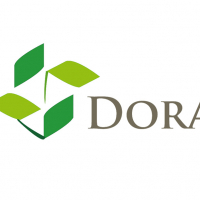 Dora Nemaxe is a biological nematicide specially for controlling nematodes based on Paecilomyces lilacinus(natural Nematophagous fungus)、Bacillus series and organic matter. The effective microbes can control nematodes and inhibit the pathogens of diseases. It parasitize and subsequently kill eggs, larvae and adults of various plant parasitic nematodes. In addition, It’s high content of organic matter greatly improve soil condition, build a good space for root growth. 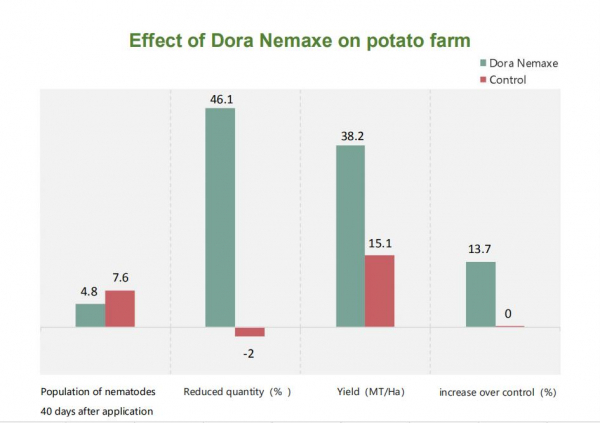 The nemaxe is friendly to the environment, but fatal to nematodes. If you are suffering from the damages of nematodes, more info of control nematodes for your reference. What’s the function of Mycorrhiza?